Three years is not a lot of time to do anything. I’m continually surprised by the fact that I’ve been writing about video games professionally for three years of my life, which is admittedly only 10% of my life to date but still seems astonishing. This also marks the start of the third year of The Mog Log, which means that I’ve been talking about moogles and cat-women professionally for a tenth of my life. I use thoughts like that to keep me warm at night. As always, the anniversary mark is about the time when I look back at the column thus far and see how well it’s done as a whole. Last year I wanted to really switch up what I did with my coverage for Final Fantasy XIV and Final Fantasy XI, and I think that by and large it worked pretty well. So let’s do the usual thing wherein I look back, you take a trip down memory lane with me, and we all walk away feeling smarter. Or, if that doesn’t sound interesting, you could just go look at some cat pictures. First of all, I want to focus on the positive, and that’s the fact that looking back, there aren’t any columns that stand out as bad. Which might sound worse than it actually is, because it almost sounds like I write some things knowing they’re bad. Allow me to explain: When I write a column, I have no idea if it’s going to be good or bad. I know what I’m writing about, I know what I have in mind, and I know what major points I want to hit. But while I’m writing the column itself I have no idea how well everything will be conveyed. Nor do I have any idea about which columns I’ll look back on with any sort of fondness, or even which ones will be the most popular. That’s not even getting into the fact that depending on my mood I might think that everything I write is awful. The point here is that I write nothing with the expectation that it will turn out poorly, but with the expectation that I’m going to look back and find some clunkers. It’s the nature of the beast. Over the past year, though, I’d say the worst column was the one about consoles as they relate to the franchise as a whole, and even that one was more mediocre than anything. So I’m taking that away as a bright point. 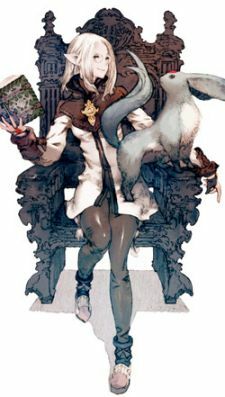 I think changing how I covered both Final Fantasy XI and Final Fantasy XIV relative to one another was a major improvement, and reader response seems to largely agree. Not to mention that there were some columns that I think served as pretty good standouts. FFXIV’s need to generate impressions, talking about free-to-play, and a column I thought would generate more flames than it did all look really good from where I’m sitting now. In a year when not a lot was happening and a lot of the news was just a forecast of what would come out next, I’m pleased with how things came out in the long run. All of that isn’t to say that the column was perfect, just that I was pleased with a lot of it. There’s always room to improve. One area of weakness that I felt rather acutely was the fact that I’m just not that interested in the endgame, something that should come as the exact opposite of a surprise to many readers. I’d like to work on getting a clearer picture of the endgame in both games, even if some elements of both have left a bad taste in my mouth over the years. Yes, I still have nightmares about high-level play in FFXI, but that was years ago and a lot has changed since then. Another element that I’d like to bring here from other columns is more interaction with reader comments and polls. A Mild-Mannered Reporter has, at times, operated more like a two-way dialogue in weekly installments, where The Mog Log is more frequently a case where I say something and then everyone responds. Part of that is due to different audiences, but part of that is probably also just the fact that I haven’t made use of the tools here that I’ve used there. It’s something to consider. The last major change I’d like to make is to do more in-depth coverage of major patches. For various reasons this year I wasn’t always deeply engrossed in new patch content, and in some areas that’s understandable — I’m not always going to have as many uses for new features. But I like to really dissect major updates, and responses seem to indicate that those sorts of columns are well-received. So that’s a mark to try and hit. Beyond that, I’m curious about the feedback from you, dear readers. Rather than putting this into a poll, I’m just curious in general about the sort of things that you’d like to see me focus on more over the next year. You know the usual feedback routes. Because this is going to be quite a year, one way or another. We’ve got a new expansion for FFXI and a relaunch for FFXIV, if you’ve forgotten, and these two elements are going to be the architects for the future of both games. Maybe they’ll be great, maybe they’ll be awful, but either way we’re facing a major change in the way both games operate. I’m tempering enthusiasm with realism, but there’s no denying how much the next year will make it. I want to be struggling to find negative things to say about the column if nothing else.